Asda boss chief exec Andy Clarke argues the supermarket's relentless focus on price is working despite the grocer recording plunging sales over Christmas. Like-for-like sales at Walmart-owned Asda fell by 5.8% for the quarter ending 1 January as it once again lost out to the discounters. Clarke also hinted the worse-than-expected sales performance may also have been a result of an improved sales performance of the other other big four. However, he argues their improvement was a result of "short term activity" that will be unsustainable in the long term. "We did not anticipate a recovery in the market from their short term activity," says Clarke. "It did change the coal mine". 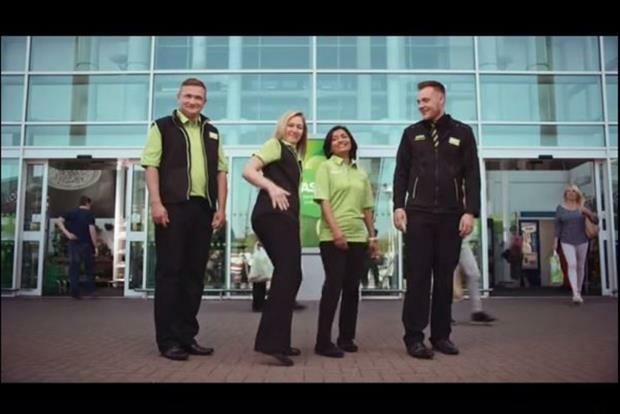 Asda has today launched a ‘Pocket More’ ad campaign that seeks to reinforce its prices against the big four competitors. Clarke claims last week Asda’s prices were 8% cheaper than the other big four. Asda is attempting it narrow the price gap between it and discounters Aldi and Lidl, which are able to sell at lower prices due to their smaller product range, to 5%. It is also seeking to widen the gap between its prices and the other big four to 10%. Asda chief financial officer Alex Russo claimed a retailer that employs hundreds of thousands of people would be "irresponsible" if it sacrificed long term profitability for short term gains. Clarke believes the relentless focus on price and supporting marketing has worked since the launch of the £1bn five-year price investment plan two years ago. "Isn’t it interesting that two years on from us launching our strategy that EDLP (every day low pricing) is the buzzword in every retailer as they converge on our strategic intent to remove buy one get one free," says Clarke. "I would suggest [our price focus] has worked because of deflation in the market and we are on a strategic direction to lower prices and being clear about the value gap we have versus the other big three grocers." Clarke said he stood by his decision to not take part in Black Friday last year despite it having a slight impact on sales. "It was the right decision for this year and we won’t replicate Black Friday again," says Clarke. "It became a bit of a promotional race rather than an actual event." Clarke added incoming chief customer officer Andy Murray will "add a customer dimension through all vehicles of customer communication and advertising will only be part of that". Asda’s like-for-like sales for the full year to December 31 fell 4.7%.